Way, way back in the footloose and fancy-free year of 2001, fellow Star Trek visual effects alum Rob Bonchune and I created renderings for a book called “Starship Spotter,” a guidebook to the magnificent flying machines of the Trek universe. We were both CG Supervisors on Voyager at the time and used the actual computer models from the various Trek series to liven up the book with all sort of tasty imagery. 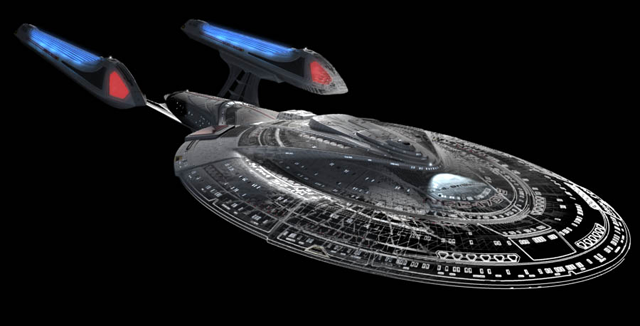 Each ship featured a two-page, full color rendering, accompanied by a black and white wireframe image and technical specifications (painstakingly researched and deduced by Trek mega-sleuths Jon Lane & Alex Rosenzweig). As you can see from the reviews on Amazon, the book had a lukewarm reception for largely two reasons: print quality and that damn fold down the middle! When Rob and I first saw final copies of the book, we were just as surprised as anyone by the dark, murky images on display – they sure didn’t look like that on our screens! Sadly, that had to be chalked up to a learning experience we shared with Pocket Books: images on a computer monitor look very different when they end up in print. As far as the spine of the book providing a lovely fold down the middle of every ship, it was an issue that just didn’t become apparent until we actually had the book in our hands, opened it up and went, “uh oh.” We were bummed and wished we could have personally provided new & better renders for everyone who bought the book! As fans ourselves, we totally understood people’s frustration and disappointment. It was with a heavy heart that we went on our all-expenses paid, world-wide book signing tour, dodging groupies and covergirls every step of the way (or did we just hitch-hike to a Star Trek convention in Jersey? I really can’t remember). Pretty cool, huh? It almost looks like the hull plating has been removed and you’re just seeing the super-structure and inner workings of the ship. In reality what you’re looking at are the rendered edges-only of the forward facing polygons of the model, but by rendering in a “realistic” mode (wireframes are usually done in a special “wireframe” mode), you retain color information and the shading from lights! Rob and I both got very excited by what looked like a hi-tech “cutaway” render and quickly got on the phone to Pocket Books, asking if we could redo all the wireframes like this and resubmit them. Sadly, the deadline that had just passed was the real, true, seriously-this-time deadline (unlike the other five we had missed) so it was just too late. Still, I was having fun with my “new toy” for rendering these ships so I went ahead and did a bunch of them, just because. 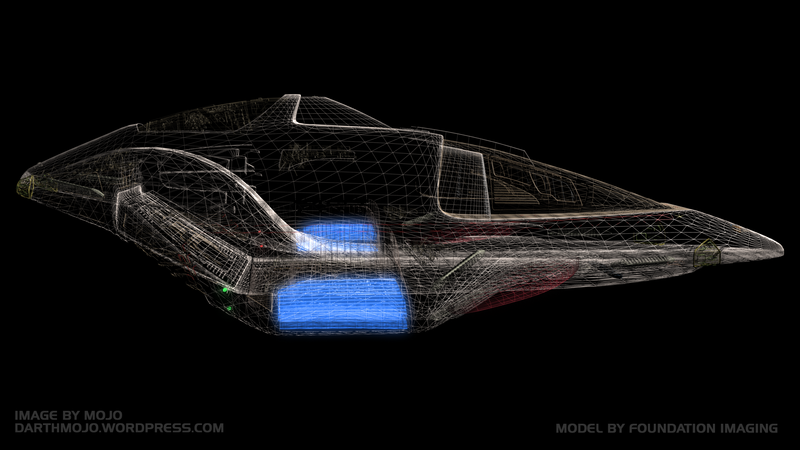 So here they are, the never-before-seen Starship Spotter color wireframes. Feel free to download and drool over them and, if you’re one of the fans who bought the book and were let down, I hope that in some small way this can make it up to you. Maybe one of these days we’ll get around to doing something like this for Battlestar Galactica. Anyone interested? Leave a comment! Oh, Christ, yes. Especially if it can be done in a way that avoids the problems with the Starship Spotter. Meanwhile, the technique you use there I think would be fantastic for some show to use when displaying scans or status displays for ships. Those images are great. I remember that I didn’t buy Starship Spotter for just that reason. 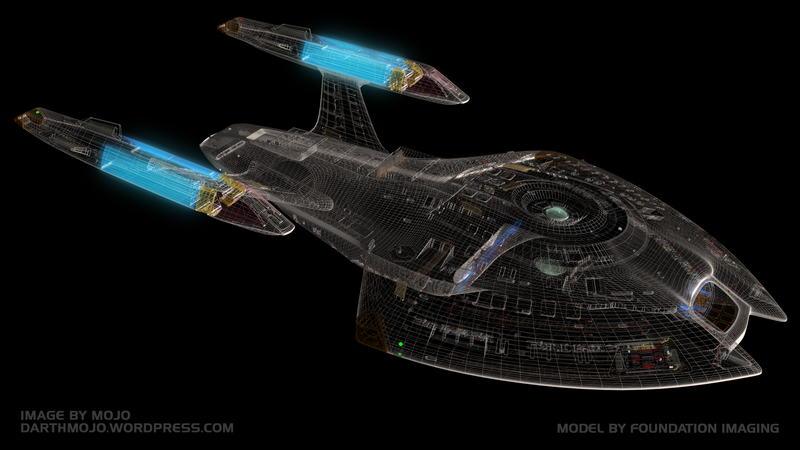 I was learning how to use Lightwave at the time, and was hoping to use the wireframes to puzzle out the techniques that the pros use to build starships, but they were just too small. If you guys can do a BSG version, I’m totally there! BTW, there’s not much chance of you releasing the models, huh? Beautiful renders! Thanks for sharing! Battlestar Galactica versions would be most welcome. I’m a huge fan of The Fleet! Yes, I bought ‘Starship Spotter,’ and, yes, I was disappointed. But it’s all good. I’d really like to see some more of the original 1701, too. Wow. Really, really cool. Something like this for BSG? FOR THE LOVE OF GOD YES. Um, yes. Please? Can we have a hint about how you created these images? I’ve seen the textured wireframe effect before, but if I remember right, it was always done in MAX. I didn’t think it was possible with Lightwave, but apparently it is, and it looks spectacular. Beautiful. 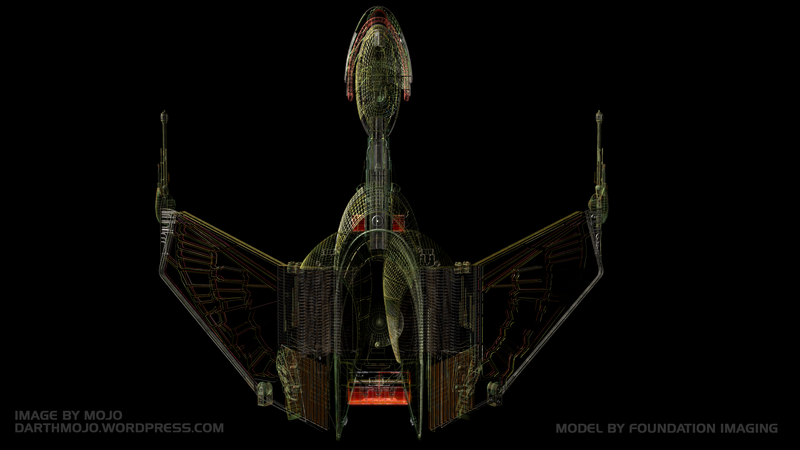 But how about one of a Romulan Warbird for the Romulan lover? Very nice seeing them without the damned folds. Your blog is wonderful and I have bookmarked it. Just a thought from a Screenwriter with a lot to say! I had to go pull my print copy out to remember why it was so lousy. It also came at the time that Pocket was changing the standard size of Star Trek books, and really during the end of Star Trek reference books. It’s a shame, but your work stands out in that collection. Thank you for this further addition! Superb!! BSG models? Oh Yes!! Any chance of you doing something like this for the calendars? Hey, I got Starship Spotter way back in the day and I enjoyed it. I didn’t even think about the color issues or the book spine. Upon reading this, and looking through the book again, I noticed it. Yeah, it’s a problem, but I still enjoy it. Print is a funny thing…anything bright on the computer tends to come out pretty dull. I learned this from being editor of my community college newspaper (Harrisburg Area Community College – The Fourth Estate). Good stuff, all-in-all. Maybe you should do a reprint to include some of the images above? I was grateful simply to get the finished product I had, for all the flaws…but thanks much for this. 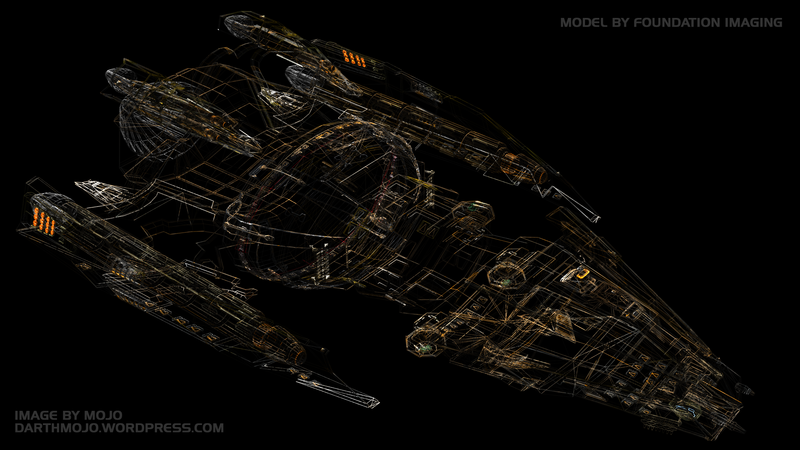 Is ther any possibility that you could post some “normal” renders of the Ent-E and the Prometheus here on your blog? Nova would also be great. This is awesome….I just said it out loud 5 times…. Hi Mojo, fabulous pics, thanks for sharing them. The Starship Spotter was cool (got 3 copies – long story!) as it was the first time somebody had got together and done a tech book on some of the TNG ships. Really appreciated that. I didn’t mind the light or even the spine, just wished the publishers had let you include another 20 ships so it was a more comprehensive list (been pining for an expanded edition ever since!). A ‘BSG Spotter’ would be the business! Bought the book back in the day and my only complaint was a lack of excelsior class. Other than that pure gold. A BSG spotter would no doubt be well fans and starship freaks everywhere. Could you please put some pics of the Battlestar Columbia from the Razor flashbacks,Id love to get a decent look at a battlestar with full armour from several angles. 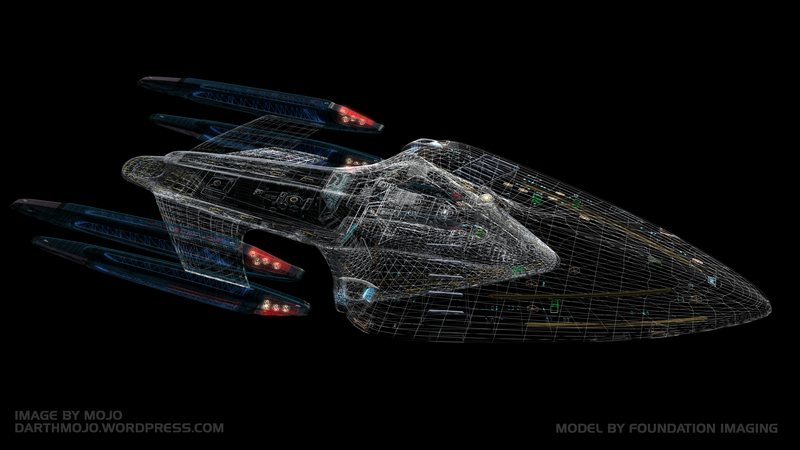 Also,Did BSG VFX have a model of the Rising Star before Razor? Sinceep 5 of season 4 she appears to be popping up everywhere in the fleet,And will we ever get a good look at the defender in action? Wow. Those renderings are amazing. I’ve got the Defiant set as my background. Any more renderings you could post? 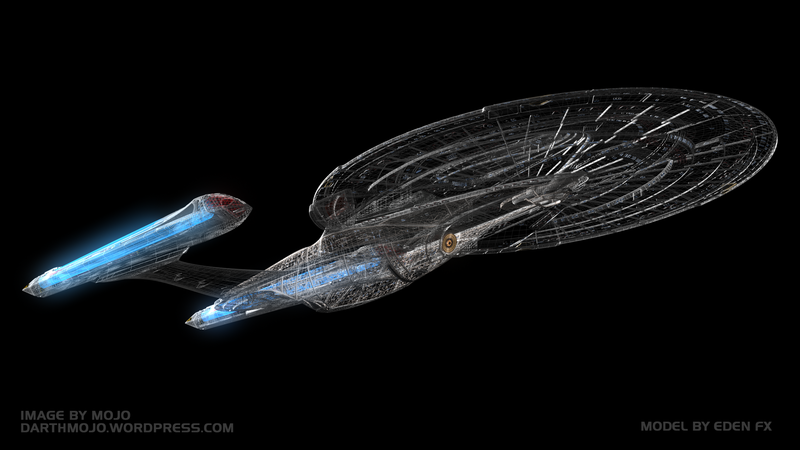 I’ve got a big crush on the Romulan Warbird, the Federation Galaxy Class, and Excelsior class, as well as the Cardassian Galor class and Terak Nor (DS9). I’m also a big Battlestar Galactica fan, so anything you could put up of the Colonial Raptors, Vipers, or Battlestars (Pegasus or Galactica), or even the Cylon ships would be cool. How about Star Wars? 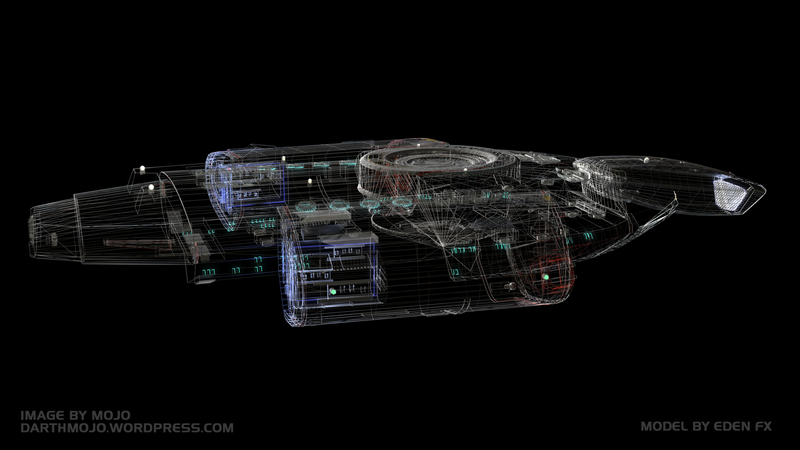 Do you have access to any renderings of ships from that Universe? Thanks a lot, and this site rocks! I’ll be back for more. Just a question really… don’t wish to be rude but aren’t all the ships with green and red lights on the side marked incorrectly. Port is green, starboard is red. Their positions are based on the ships orientation of port not yours when looking at it. All the ones with the lights have green on the ships starboard sides. 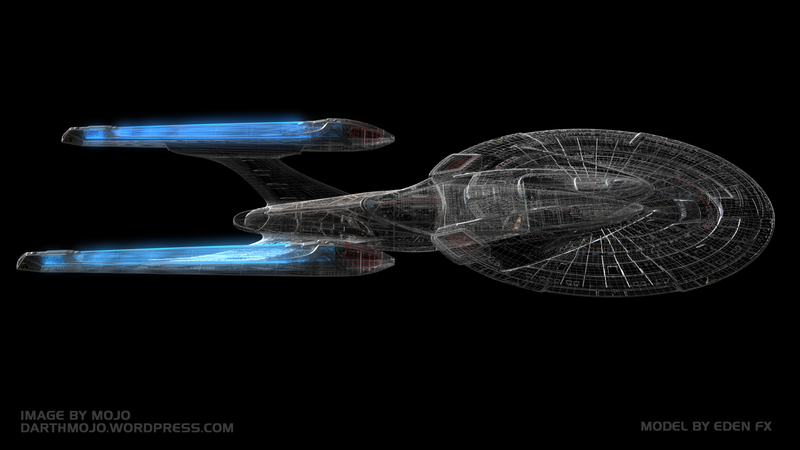 For example… the one below the Defiant has green on the end of the warp nacell (I am not a trekkie so correct spelling or name not remembered) you can see a green light and on the other one at the top of picture is red. Surely nautically speaking which the lights apply to this would be opposite. Anyway… thanks and sorry for being a little nerdy. No, Mojo’s got it right. Port is red; starboard, green. The easiest way to remember this is that the shorter words go together: port with red, starboard with green. These are some bad picture! Hey Mojo, thanks very much for these! 1) Why exactly did Eden FX (or was it Foundation Imaging?) 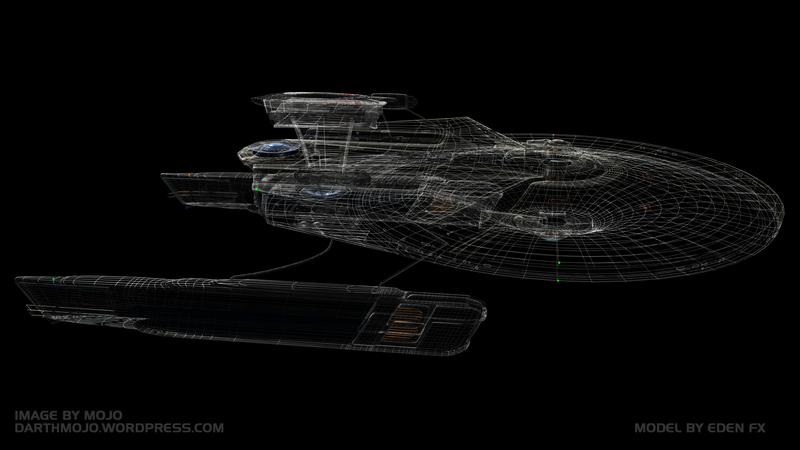 make a mesh of the Enterprise-E? It wasn’t ever shown on TV (I think…) and I thought different FX companies handled the CG in the movies. Either way, thanks very much again for this Mojo! This is a totally awesome and near invaluable resource you’ve put up here! Thanks! I think this collection of work just shows that the book form is not ideal for the work you put in. 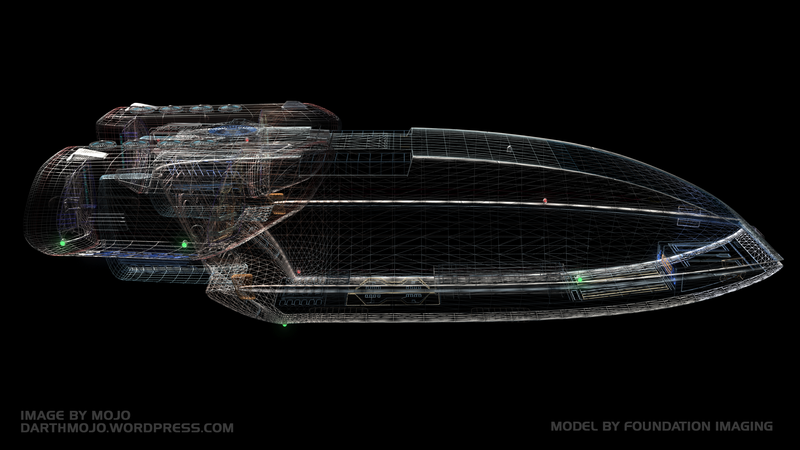 Not to mention sometimes limiting to us inspiring 3D artist (Lightwave… big ups… waiting for CORE?) who try to study your work only to have interference by the unintentional page turned by gravity. 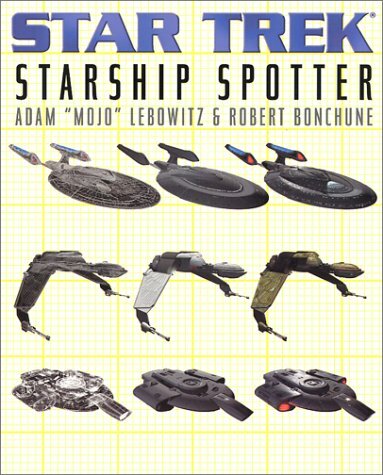 A fan of “3D World” and even the graphical interface of the new STAR TREK movie site I think DVD-ROM (Blu-ray when its adoption on PCs increase)is the format of choice for a reprint of “Starship Spotter” and a BSG volume or as a companion disc to each book. 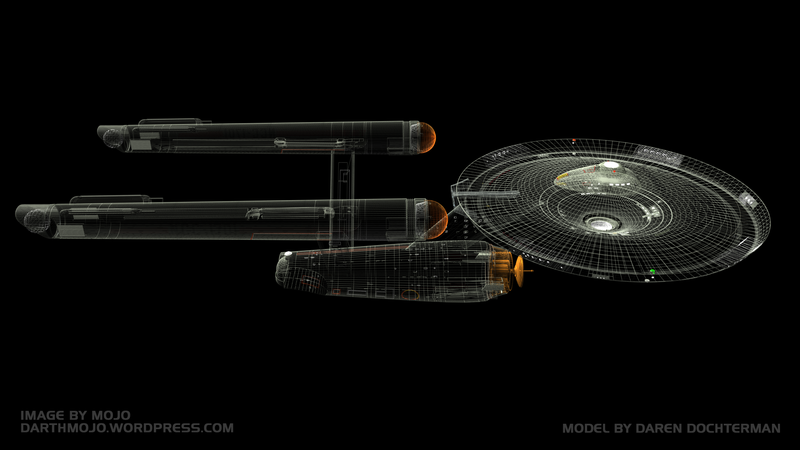 Its how “The Star Trek Encyclopedia” should be done. Loaded display screens for the menus. Just go all out on the eye candy. 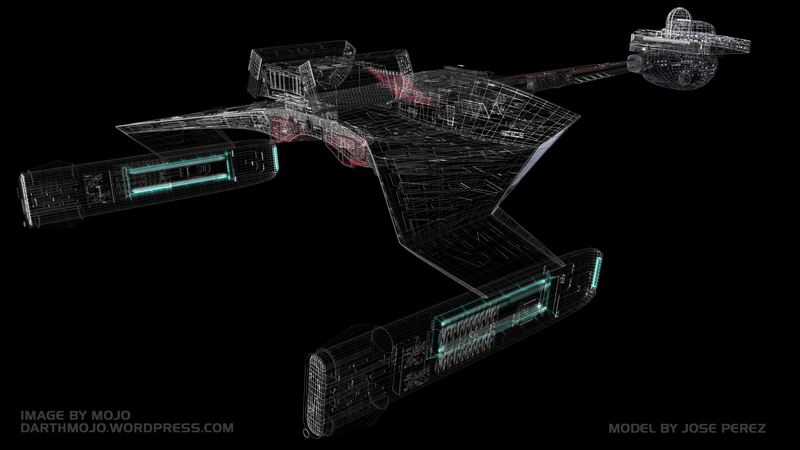 On a side note, as a Lightwave user I to would like to get my hands on a few choice Federation ships for dissection, but understanding what implications a series of fan films on youtube with actual production models would entail, a sped thru screen capture video on the making of a few choice ships someday would be just as cool. By golly man! You should be called Admiral Mojo for this great and exelent rendition. How bout the other starships? Keep up the good work Admiral. For Battlestar Galactica? Hell yes for both the original and new series. Excelante job on the starships!! Hope to see more interior drawings on them. i saw that one of them had a room in it. Well,well. Mojo, a trip down memory lane. They do really all look cool that way. It’s like……..we could have a calendar of 12 ships done this way…..or a set of prints. Oh I forgot, we worked for Paramount/CBS/Pocket Books. No go. If it where star wars , they’d throw money at us. However, My main kudos to you sir is this: YOU ACTUALLY LABELLED THE IMAGES CORRECTLY. As all images should be. No looking through tons of text to find out who did the image leaving the *FALSE* impression on unknowing fans that you did all the images and models you put up on your site. Even more so, you didn’t put up someone else’s work entirely , then stamp your handle on it without explanation. Wow. Gotta love it. Five years later, and someone checked on my home page on the strength of this article. Which was good, because it served as a reminder of something I’d like to have on my bookshelf someday re: Galactica.